Increase your storage and organization space with Husky Storage, which easily assembles in minutes and is ideal for use in the garage. The 6-foot Upright can be used with other 6-foot uprights to create a high shelving frame for your storage unit, or can be combined with 6-foot uprights and multiple beams to create exactly the storage space you need. The Upright can be added to the Starter Kit or can be used to create your own assembly from scratch. The heavy-duty steel construction provides ultimate strength and reliability, while the rugged black powder coating is durable for long term use. Customize your rack with other Husky Storage parts sold separately. 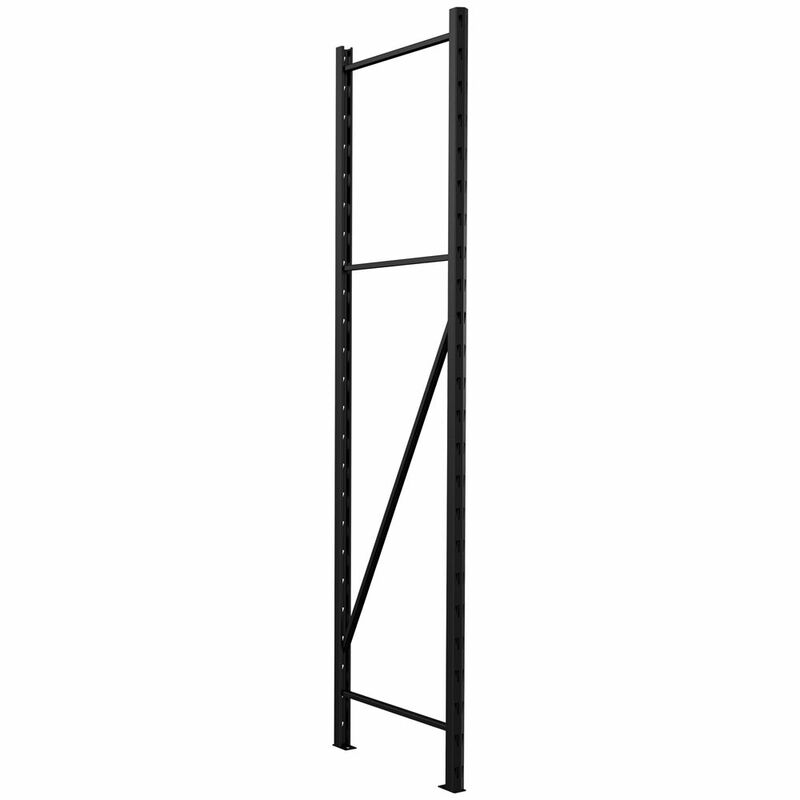 Metal Storage Rack Upright 72 inch x 18 inch Increase your storage and organization space with Husky Storage, which easily assembles in minutes and is ideal for use in the garage. The 6-foot Upright can be used with other 6-foot uprights to create a high shelving frame for your storage unit, or can be combined with 6-foot uprights and multiple beams to create exactly the storage space you need. The Upright can be added to the Starter Kit or can be used to create your own assembly from scratch. The heavy-duty steel construction provides ultimate strength and reliability, while the rugged black powder coating is durable for long term use. Customize your rack with other Husky Storage parts sold separately.